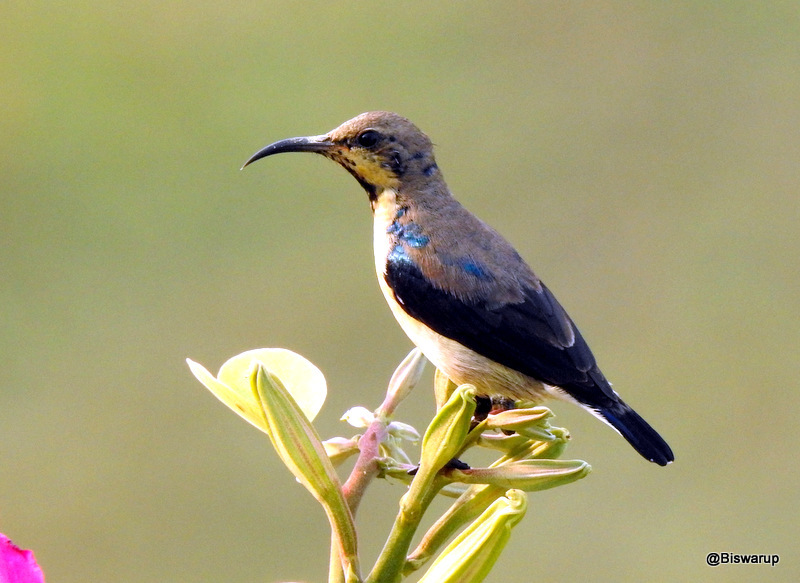 The purple sunbird (Cinnyris asiaticus) is a small sunbird. Like other sunbirds they feed mainly on nectar, although they will also take insects, especially when feeding young. They have a fast and direct flight and can take nectar by hovering like a hummingbird but often perch at the base of flowers. The males appear all black except in some lighting when the purple iridescence becomes visible. Females are olive above and yellowish below. Darun background. Khub sundor chobita tulecho. Rajarhat to dekhchi bird Sanctuary hoye galo.